The White House announced that John Zangardi will serve as the new chief information officer (CIO) for the Department of Homeland Security. Zangardi is currently serving as the acting CIO at the Department of Defense. He is leaving the DoD to replace Richard Staropoli, who unexpectedly resigned as DHS CIO in August. Since Staropoli’s departure, Stephen Rice, who was previously the DHS deputy CIO, has been serving as acting CIO. Zangardi became acting DoD CIO after his predecessor Terry Halvorsen retired in February. Before stepping into the CIO role, Zangardi was named principal deputy CIO in October 2016. 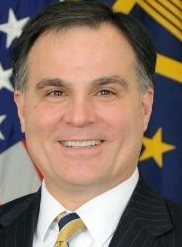 Prior to his work with DoD, Zangardi has held several senior executive positions at the Department of the Navy. DHS’s deputy chief technology officer, Robert Palmer, will leave the agency effective Oct. 28. In his role as acting CIO, Zangardi serves as the primary adviser to the Secretary of Defense for information management, information technology and information assurance, as well as non-intelligence space systems; critical satellite communications, navigation, and timing programs; spectrum; and telecommunications. Zangardi holds a bachelor’s degree from the University of Scranton, master’s degree from the Naval Postgraduate School, and Doctor of Philosophy degree from George Mason University.